Dan is the President of Dalton Associates, and has spent more than 30 years providing psychological assessment and treatment to adults, families, youth and children with special needs. 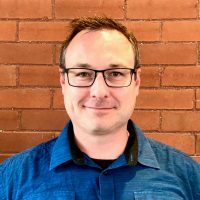 He is a Registered Psychologist with the College of Psychologists of Ontario, practicing and supervising in Counselling and Rehabilitation Psychology services throughout the Greater Toronto Area and South Central Ontario. 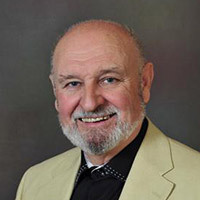 His professional career includes: 15 years as the Director of Clinical Training and Dean of Adlerian Studies for the Adler School of Professional Psychology in Ontario, and 11 years as the Coordinator of Special Services for the departments of Psychology, Social Work, Speech and Language Pathology, and Child and Youth Counselling within the Halton District School Board. 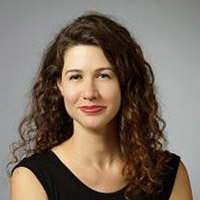 Carobeth is a Psychologist with the College of Psychologists of Ontario and Board Certified Behaviour Analyst providing Applied Behaviour Analysis services (ABA) to children, adolescents and adults with Autism and other disabilities since 2001. 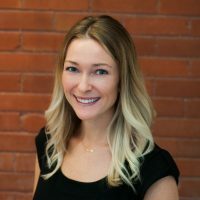 In addition to her role at Dalton Associates, Carobeth has taught at George Brown College and served on the Board of Directors for the Ontario Association for Behaviour Analysis. 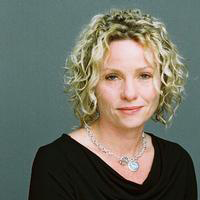 Currently, Carobeth serves on the Board of Directors of Autism Ontario. Carobeth is an approved Clinical Supervisor for IBI/ABA funded programs. 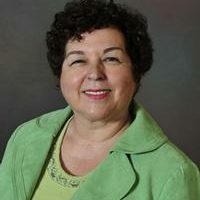 Irina MurariuDirector of MVA Services, M.A., C.Psych. 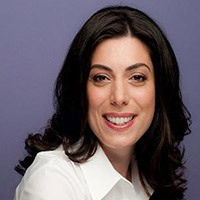 Irina is a Registered Psychologist with the College of Psychologists of Ontario. 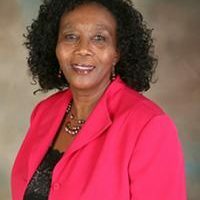 She has over 20 years of experience providing psychological services in private settings, community centres and industrial/organizational milieus. She has accumulated extensive knowledge and a broad expertise in the assessment and treatment of adults suffering from the consequences of personal injury. Irina strongly believes in each individual’s potential to grow and promote change from within in a supportive, non-judgmental and positive therapeutic environment that leads to collaborative goals and a well-customized helping relationship. 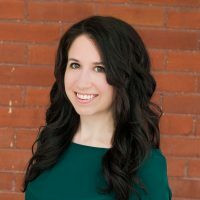 Jennifer is Registered Psychologist with the College of Psychologists of Ontario, and is listed with the Canadian Register of Health Service Providers in Psychology. 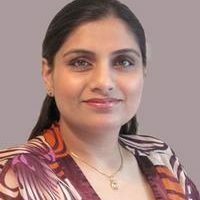 She holds a Specialized Honours Bachelor of Arts degree in Psychology from York University, Toronto, Masters of Arts degree in Counselling Psychology from Adler, Chicago, and a Doctor of Psychology in Clinical Psychology. 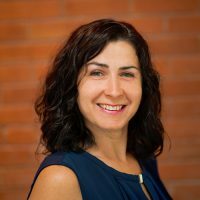 Jennifer has over 10 years of clinical experience in a variety of therapeutic techniques and modalities. Kathi JanusiakClinical Supervisor, M.A., C.Psych. Assoc. Dr. Julie KoudysClinical Supervisor, Ph.D., C.Psych. BCBA-D.
Mehdi LotfalizadehClinical Supervisor, M.Sc., C.Psych. Mehdi Lotfalizadeh (M.Sc., C.Psych.) received his master’s degree in Clinical Psychology from Iran Medical Sciences University in 1991. He worked as a clinical psychologist in Iran till 2000. His practice included providing psychological services in rehabilitation centres with pain patients, Cognitive-Behavioral therapy with emotional disorders, parenting and behavioral management workshops for parents. He also worked as an instructor in various universities in Iran, completed several research projects and presented at many conferences. In Canada, Mehdi continued providing psychological assessment and intervention services to emotionally challenged clients and leading parenting groups. 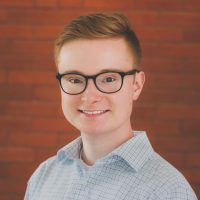 He is registered with the College of Psychologists of Ontario and has provided psychological services in Toronto, Markham, Richmond Hill, Thornhill, Mississauga, Aurora and Newmarket. He is a member of the Canadian Psychological Association and has continued his professional development throughout his career. 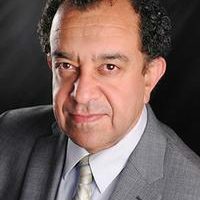 Mehdi is experienced and uses diverse techniques and approaches with clients for a specified period of time to achieve realistic goals identified with the client. He speaks English and Farsi (Persian). Vuyo B. N. MpumlwanaClinical Supervisor, Ph.D., C.Psych. I work primarily with children, adolescents, and families having difficulty with stress, trauma, (including trauma related to torture experience), depression and anxiety, relationship issues. I also work with new Canadians who struggle with adjustment to the North American culture. I provide both psychological assessment and treatment. I am eclectic with a client-centered approach to therapy. I employ evidence-based strategies, such as Interpersonal Therapy (IPT), Cognitive Behavior Therapy (CBT) as well as Family Systems. Additionally, I offer Psycho-Educational Diagnostic Assessments that help to clarify issues related to Learning Difficulties and other school related concerns. My goal in psychotherapy is to see my clients develop strategies that help them to effectively deal with life challenges. I bring to partnership relationship with my clients compassion, warmth, empathy, respect and understanding, seasoned by my 20+ years of experience of working with individuals and families from different cultural backgrounds, in Canada, USA and Internationally. My experience of offering psychological services to families (refugees/new immigrants) who struggle with adaptation issues, adds value to my practice. In addition, as a Christian Psychologist, I also offer service to clients who prefer Christ-centered approach. Irina MurariuClinical Supervisor, M.A., C.Psych. Marcia SwabyClinical Supervisor, M.Sc., C.Psych.Assoc. Marcia Swaby M.Sc., C.Psych. Assoc. Registered in Ontario. Marcia has worked over thirty years in rural and urban settings. This has increased her sensitivity to different cultural and religious groups. Marcia’s approach uses the strengths of each client to bring about change. She has been trained in cognitive-behavioural therapy, and solution focused therapy (a brief therapy approach). In 2003, she trained in Rehabilitation therapy to improve her work with motor vehicle accident victims. Marcia treats Depression, Stress, Anxiety, including Agoraphobia, and Anger Management. Marcia Swaby does Couple therapy. She has a speciality in Pain Management and has treated problems such as MVA victims, Cancer, Chronic Pain, including Fibromyalgia, and TMJ/Bruxism. Marcia Swaby uses hypnosis as an adjunct to therapy, especially with pain, depression, and abuse issues. She is a member of the Canadian Society of Clinical Hypnosis since 1992. Marcia Swaby does personality assessments of adults. She works in Brampton and Mississauga. Jennifer WalshClinical Supervisor, Psy.D., C. Psych. Kerry WellsClinical Supervisor, Ph.D., C.Psych. Carobeth ZorzosClinical Supervisor, M.A., C.Psych. Lesley HannellClinical Supervisor, M.A., C.Psych. 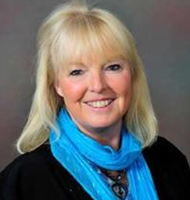 Lesley is licensed in Clinical & Counselling Psychology for Adolescents, Adults, Couples and Families. She has worked with Dalton Associates as a psychologist and supervisor of psychological services since 2010. She has previously led the Guelph and St Catharine’s groups, among others. Lesley has over 40 years of experience in counselling and crisis intervention and has experience in equine-assisted therapy and Energy Psychology modalities. She has had an active private practice since 1995. Previously, she has worked as the Executive Director at the Social Planning Council of Peel and was the Past Executive Director & founding member of “Women in Crisis”, an emergency shelter and crisis intervention service for victims of sexual assault and domestic violence in Guelph, Ontario. Mirela is responsible for all aspects of financial operation of Dalton Associates, oversees the activity of the business department, and manages relationships with banks and government institutions. 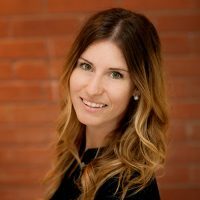 Mirela obtained her Certified Management Accountant designation in 2010, and she is a member of Chartered Professional Accountants of Ontario. Candice ThorntonManager of Administration, Rehabilitation Services and Special Projects, B.Sc. Candice manages the Administrative and Rehabilitation Services Divisions at Dalton Associates. 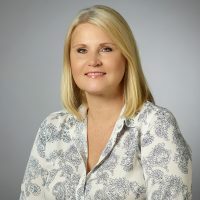 In addition to providing support and training to staff and associates, Candice oversees special projects, including the development and maintenance of the Dalton Electronic Health Record system. 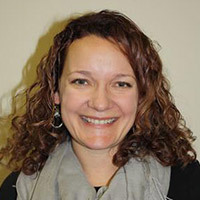 Michelle holds a Masters of Social Work degree, and is a Registered Social Worker with the Ontario College of Social Workers and Social Service Workers. Michelle manages and coordinates mental health and wellness support programming within the Corporate and Government Services Division at Dalton Associates. In addition, Michelle is the Privacy Officer for Dalton Associates and oversees administrative services. Marilyn is the Office Administrator at Dalton Associates. Lindsay AlleryExecutive Assistant to Dr. Dalton, B.A. Lindsay is an Executive Assistant to Dr. Dan Dalton. In addition, Lindsay is the WSIB Administrator at Dalton Associates, as well as an intake specialist in the Client Care Centre. 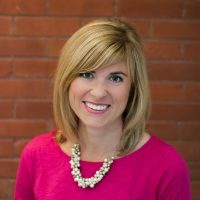 Amy is the Executive Assistant to Carl Dalton, Vice President of Dalton Associates. 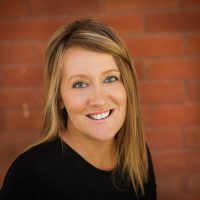 Amy is also the Coordinator of the Corporate and Government Services division, as well as an intake specialist in the Client Care Centre. Katie CrichtonCoordinator of Client Support and Referral Services, B.A. 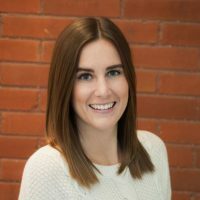 Katie is the Coordinator of Client Support and Referral Services at Dalton Associates, helping clients find the right therapist to support their mental health and wellness through the Client Care Centre. 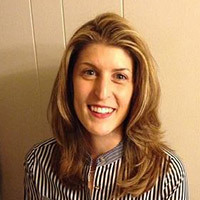 In addition, Katie provides administrative support to the Corporate and Government Services Division. 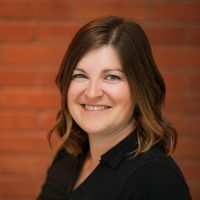 Heather is the Coordinator of the Autism and Behavioural Services Division at Dalton Associates, providing administrative support to both clients and therapists seeking specialized autism and behavioural programming. 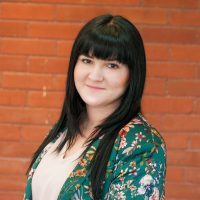 In addition, Heather is an Executive Assistant to Dr. Dan Dalton, coordinates third-party and legal requests, and is an intake specialist in the Client Care Centre. Taylor AnnettCoordinator of Rehabilitation Services, B.Sc. Taylor provides administrative coordination and support to the Rehabilitation Services team. She helps clients find accessible and effective psychological support to facilitate their rehabilitation process after a motor vehicle collision (MVA), workplace injury (WSIB), and criminal injury (CICB), as well as coordinates services for all Veterans Affairs and Long Term Disability clients. Eric FerraroCoordinator of Marketing, B.Comm. Eric Ferraro is the Coordinator of Marketing at Dalton Associates. 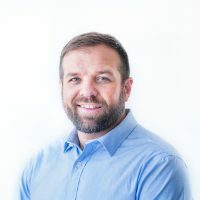 Supporting both the Corporate & Government and Referral Services Divisions, Eric works alongside the team to create dynamic marketing strategies, materials and presentations. As a Financial Services Personnel at Dalton Associates, Ramona coordinates and administers accounts receivable. In addition, Ramona provides training and ongoing support to Dalton Associates’ independent contractors around invoicing procedures. As a Financial Services Personnel at Dalton Associates, Marie coordinates and administers accounts receivable. In addition, Marie provides training and ongoing support to Dalton Associates’ independent contractors around invoicing procedures.